[6 mins. 5 secs.] 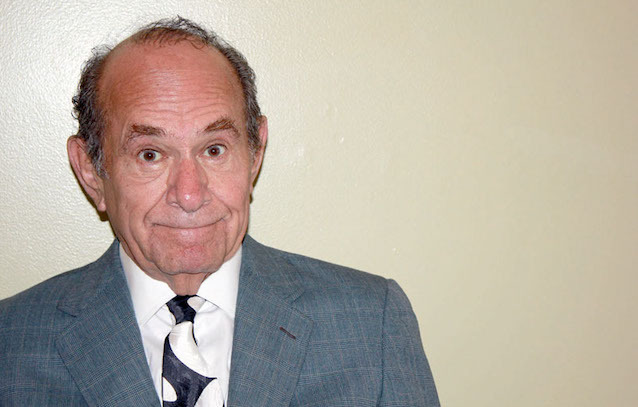 (April 11, 2019) The veteran actor Stuart Margolin ("The Rockford Files", "The Discoverers") is the sole guest. Stuart is in a new indie film, a romantic comedy called "The Second Time Around" in which he co-stars with actor Linda Thorson, which is available for streaming on Amazon. The film was directed by recent guest filmmaker Leon Marr (Episode 545). Katherine Mitchell (Thorson), a widowed yet vibrant senior, wasn’t looking for love a second time – not at her age, and certainly not with grumpy Isaac Shapiro (Margolin). Despite the nosey bunch of seniors in the residence where Katherine convalesces after breaking her hip, she and Isaac warm to each other over their shared love of music. Against unforeseen obstacles, their love blooms and together they set out to fulfill Katherine’s lifelong dream of going to the opera in Milan.